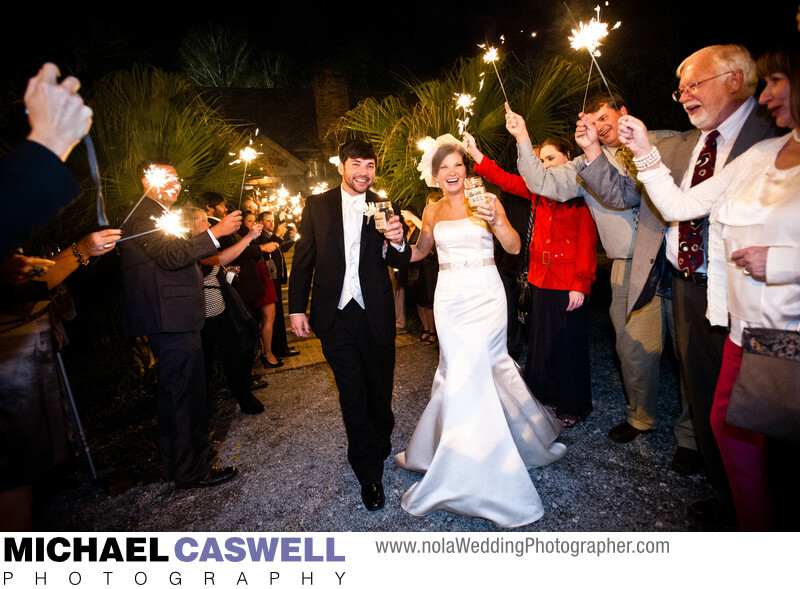 At the end of their wedding reception at Palmettos in Slidell, Louisiana, this wonderful Hattiesburg couple is treated to a departure through sparklers by their loving friends and family. Located on Bayou Bonfouca near Old Towne, Palmetto's is a great location for a wedding on the northshore! Sparklers are a wonderful way to give the couple a memorable send-off, though be sure to get the longer sparklers, which will burn for an extended time and provide enough time for all the guests to light them. And, of course, make sure the person handing them out tells everyone not to light them until they are told that the couple is ready to leave... otherwise, there's a good chance they'll be burned out by the time the couple comes out! Location: 1901 Bayou Ln, Slidell, LA 70458.